Essential Industrial are committed to providing Industrial electrical distribution to the industrial and commercial sector service across the North-West. We work with many of the worlds leading manufacturers of engineering products/services and guarantee top quality items, quick service and competitive prices. From our distribution centre in Preston, we provide an unrivalled service across the North-West, supplying everything from planned maintenance and installation equipment to urgent plant breakdown materials. The company itself has been involved in this industry for over 10 years, and prides itself on the high quality of its workmanship, products and technical knowledge in this particular area. Below are some examples of our standard stock range. This is a small selection of the manufacturers on our stock profile. Please click on a supplier below for more information. Cable Management - Cable tray, ladder tray, power trunking, lighting trunking, PVC mini trunking, (Galv, Black enamel, stainless steel, PVC, flexible), unistrut. Cable connectors and accessories - Industrial plugs and sockets, lugs, crimps, joint kits, girder clamps, cable ties, tape. Circuit protection - Distribution boards, consumer units, MCB's, RCBO's, RCD, TP&N switchfuses, panel boards, MCCB's, incoming switches, fuses. 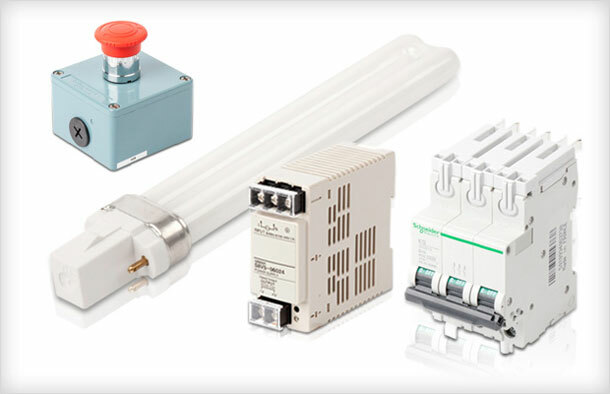 Industrial Control and Automation - Sensors, limit switches, contactors, overloads, auxiliaries, push buttons, enclosures, din rail terminals, starters (DOL, star-delta), machine safety (guard switches and sensors), signalling and indication, isolators, PSU's, transformers, PLC's and inventors. 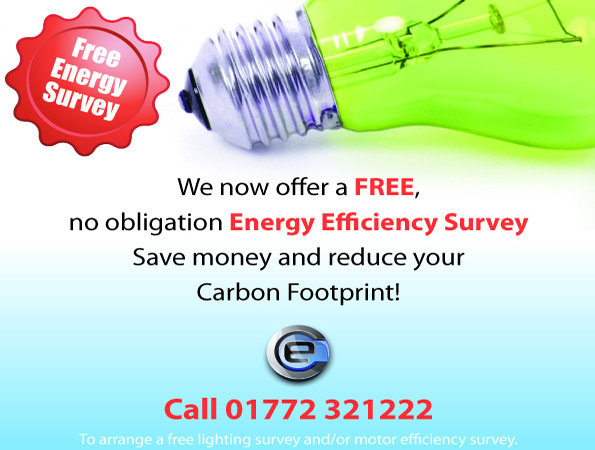 Lighting - We specialise in energy efficiency lighting (please ask if you require a bespoke lighting scheme). LED fittings and drivers, emergency lighting, Hi-bays, Lo-bays, Flo-bays, fluorescent, all types of lamps and associated products. Miscellaneous - Test equipment, fixings and fasteners, fire alarm systems, general wiring accessories, heating, ventilation, air conditioning.